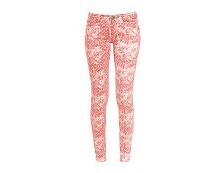 Gone are the days when hipsters ruled the roost because now it’s all about ‘high waists’ again, yey! 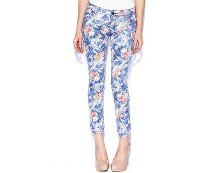 We love high waisted jeans because you can simply tuck it all in, not have to worry and off you go! The result is stylish, cool and classic! Miso high waisted jeans are a perfect example they are figure flattering and ultra comfy because although these are super skinny they are stretchy to allow ease of movement! 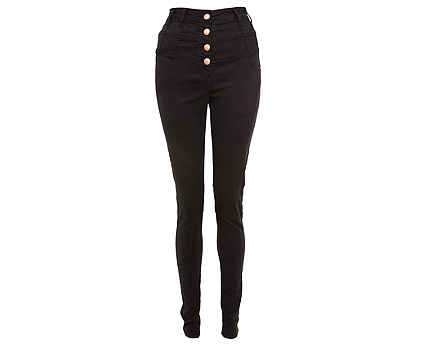 We love that Miso jeans always manage to retain their shape whatever, no baggy knees etc! The high waist will simply pull your tummy in so you do not have to worry. The seam detailing around the waist along with the bronze button fastening is a nice touch of elegance to these super stylish and cool jeans. Balance out proportions by teaming with chiffon blouses tucked in and sky scraper heels or for the brave why not try a cute cropped top to bare your midriff, then pop on a cool cropped jacket for and edgy vibe.